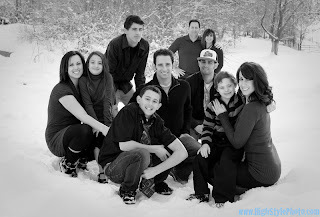 Julie Harman of www.HighStylePhoto.com took our family pictures over Christmas break. We think she did a MARVELOUS job. Now we are good friends with her, and will use her skills often! Have I mentioned that I love my family? As I looked through all of the family pictures that we took, I realized that I am one of the luckiest girls ever. I LOVE my family. I love everything about them. I love fighting with them, teasing them, talking to them, cuddling with them, and laughing with them non-stop. We had so much fun during our first EVER family photo shoot. I am so proud of my family for the choices they make and feel so blessed to be with them for time and eternity! Also, check out www.JarvieDigital.com for other great photo opportunities. Scott and Julie often work together, especially when shooting weddings. Let me know what you think! Love you all! Nate just graduated from the Marriott School of Business at BYU! We are so proud of him! Our family has so much to be thankful for. We are grateful for 8 healthy kids and 2 healthy parents. We are grateful to live in Utah. We are grateful for the gospel of Jesus Christ. We are grateful that Dad has a job. We are grateful to have cars that actually work. We are grateful that the landlords let Roxy stay. We are grateful for Mom's yummy food on the table. We are grateful that we get good grades. We are grateful Dad's back is healing. We are grateful Mom takes care of us. We are grateful that Nate is almost done with college. We are grateful that Nikki updates our blog. We are grateful that Jordan can come for Christmas. We are grateful that Amber protects the little kids. We are grateful that Jonathan cut his hair. We are grateful that Aaron got to do baptisms for the dead. We are grateful that Taylor is behaving in school. We are grateful that Tanya is athletic and active. There are so many more things that we could express our gratitude for. We will never forget where our blessings came from and will not forget to thank the Lord for all that He gives. Scott is home from the hospital, as of yesterday afternoon. He is able to stand up and walk and sit up, with a moderate amount of pain. He had not had feeling in his feet for almost 5 years (which is one of the reasons he got surgery in the first place) and now has regained almost all of the feeling! We are so pleased! Daddy (Scott) went in yesterday to the Utah Valley Regional Hospital to undergo a very intense back surgery. His spine needed to be fuzed together in order for his back to stop being in pain and for him to regain feeling in his feet. We were very concerned for him, but fasted and prayed as a family with some close friends, and the surgery went wonderfully. I went and visited him in the hospital last night with my mom, Amber, and Nate, and my father was just as cheerful as he could be, despite the intense pain he was in due to the incisions made in his back. Apparently his pain was so severe that he felt like someone had beat him near to death in his back with a baseball bat. And although we could sense his agony, he made jokes and funny faces and said that someday he wants to be buried in his BYU hat. He is such a strong man! We appreciate all of your fasting and prayers and hope that we can see you all very soon! We will keep you posted on his recovery. I love having my family in Utah! It has been so much fun! I feel like we are getting closer than ever and bonding more than we could have imagined. The kids are getting so big! I think Taylor and I are going to be the shortest ones. Thanks for coming to my ward to listen to me and Amber speak in Sacrament! Love you guys!